Geraldine is a Solicitor assisting Esther Hudson in all aspects of residential conveyancing work with an interest in Social Housing. She enjoys client contact and trying to see a straightforward legal solution to an everyday problem. Geraldine started her career in Grays Inn in the heart of Legal London and since 1996 has been based in the South East. 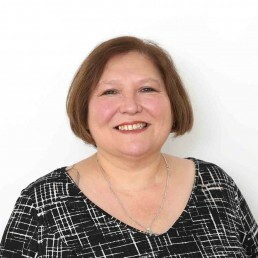 Geraldine graduated from the now named University of Hertfordshire and completed Law Society finals at the College of Law Guildford, qualifying as a solicitor in 1989. When not working, you will probably find her at the theatre or the cinema or taking a dance class as she is an avid Tap, Ballroom and Latin American dancer.